Clint Eastwood made his name as a popular television and film actor and went on to become an acclaimed filmmaker, directing several Academy Award-winning films. Clint Eastwood - Mini Biography (TV-14; 4:24) Clint Eastwood starred on the TV western "Rawhide" before transitioning to film as "the Man with No Name" in Sergio Leone's films. Eastwood has won the Academy Award for Best Director twice, for "Unforgiven" and "Million Dollar Baby." Born on May 31, 1930, in San Francisco, California, Clint Eastwood got his big break starring on the television western Rawhide. 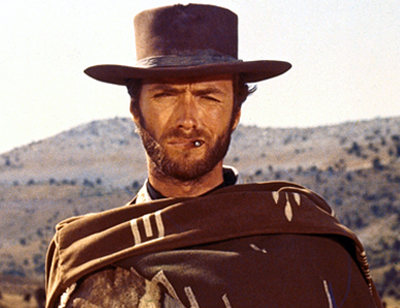 He then became immensely popular via a string of Sergio Leone movie westerns and the Dirty Harry franchise. In recent years, Eastwood has directed many films, including the Academy Award-winning projects Unforgiven, Mystic River, Million Dollar Baby and The Changeling. He's also known as a big supporter of the Republican Party, and made headlines when he spoke at the Republican National Convention in 2012. 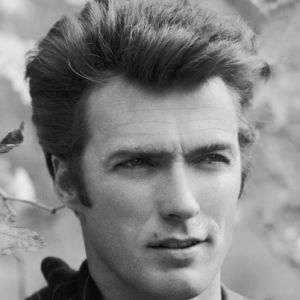 Actor, director, and producer Clint Eastwood was born Clinton Eastwood Jr. on May 31, 1930, to Clinton Sr. and Ruth Eastwood, in San Francisco, California. He has one older sister, Jean. After traveling and looking for work throughout California during the Depression, the family settled in Oakland, where Eastwood graduated from Oakland Technical High School in 1948. Eastwood worked odd jobs around this time, including as a hay bailer, logger, truck driver and steel-furnace stoker. In 1950, he was called to military duty with the Army Special Services, based at Fort Ord in Monterey, California. While in the Army, Eastwood met actors David Janssen and Martin Milner, who convinced him to move to Los Angeles in 1954 after he finished his military duty. Eastwood took a screen test and signed a contract with Universal for seventy-five dollars a week. His first roles were in the science fiction films Revenge of the Creature and Tarantula, both released in 1955. Eastwood's rugged looks landed him the role of Rowdy Yates on the CBS TV series Rawhide (1959), which ran for eight seasons. In 1964, Eastwood went to Italy to star in a trio of westerns directed by Sergio Leone. The role Eastwood took—the cool, laconic "Man with No Name"—had been turned down by James Coburn and Charles Bronson. The films included 1964's A Fistful Of Dollars (a remake of the classic Yojimbo), For a Few Dollars More (1965) and The Good the Bad and the Ugly (1966). Nicknamed "spaghetti westerns" due to their Italian production, these films gained worldwide popularity, and Eastwood became internationally known. Back in the United States, Eastwood directed his first film, the thriller Play Misty For Me (1971), and starred in the leading role. His next important project was a series of violent action movies portraying Harry Callahan, a contentious San Francisco cop. The Dirty Harry series proved immensely popular with the public and included five films over a period of 17 years, including Dirty Harry (1971), Magnum Force (1973), The Enforcer (1976), Sudden Impact (1983) and The Dead Pool (1988). Eastwood went on to direct the Charlie Parker biopic Bird (1988), for which he won wide critical acclaim. He also earned accolades for directing and producing the 1992 Western Unforgiven, which won an Academy Award (best picture). The following year, he directed and starred in 1993's A Perfect World, and went on to star in and direct 1994's The Bridges of Madison County (with Meryl Streep) and 1997's Absolute Power. He directed (but did not appear in) Midnight in the Garden of Good and Evil (1997); and produced, directed and starred in the 1999 thriller True Crime. August of 2000 saw the release of another directorial and acting project for Eastwood, Space Cowboys, with co-stars James Garner, Donald Sutherland, and Tommy Lee Jones. He then directed the haunting and award-winning Mystic River, starring Sean Penn and Tim Robbins, which was released in 2003. Two years later, Eastwood won both an Academy Award and a Golden Globe (best director) for his work on the film Million Dollar Baby, starring Hilary Swank (Eastwood directed and acted in the film). The picture also won the an Oscar Award for best picture. That same year, Eastwood received the Life Achievement Award from the Screen Actors Guild in Los Angeles. 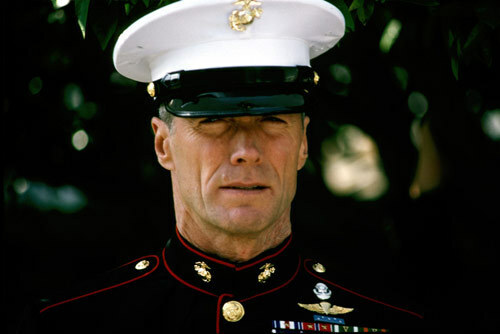 In 2006, Eastwood directed two World War II dramas, Flags of Our Fathers and Letters From Iwo Jima. These companion films viewed the conflict from two distinctly different perspectives. Flags of Our Fathers explored the American side, telling the story of one man's efforts to learn more about his father's involvement in the raising of the U.S. flag at Iwo Jima—a moment captured in a Pulitzer Prize-winning photograph. The film featured some young Hollywood actors, including Ryan Phillippe, Jesse Bradford, and Paul Walker. Truly multitalented, Eastwood even wrote some of the music for the film. Drawing from correspondence found on that island battlefield, Letters of Iwo Jima looks at the experiences of Japanese soldiers during World War II. While both films earned wide praise, Letters from Iwo Jima garnered four Academy Award nominations, including for best picture, and Eastwood earned his fourth nod for an Oscar (best director). Next for Eastwood was the 2008 family dramatic thriller The Changeling, which stars Angelina Jolie as a mother of a kidnapped child. Jolie's character in the film—which is based on a true story—suspects that the child who is eventually returned to her is not, in fact, her son. Several widely acclaimed directorial projects followed, including 2008's Gran Torino (in which Eastwood also stars) 2009's Invictus and 2011's J. Edgar. 2014 saw the release of two more films directed by Eastwood. Adapted from the Broadway musical of the same name, Jersey Boys followed the rise to fame of Frankie Valli and The Four Seasons. And the controversial drama American Sniper, which earned an Oscar nomination for Best Picture, depicts the career and family life of Navy SEAL operative Chris Kyle. Outside of acting, Eastwood has tried his hand at politics. He was elected mayor of Carmel, California in 1986, serving two years. Eastwood is also known for being a big supporter of the Republican Party and made headlines when he spoke at the Republican National Convention in August 2012. His speech garnered attention for its unusual format: During his narrative, Eastwood spoke to an empty chair, which seemed to be used to represent President Barack Obama. 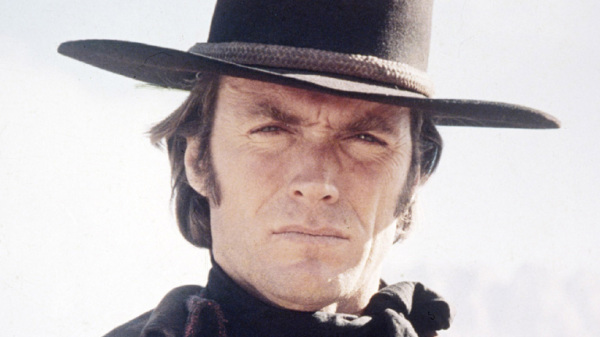 When speaking about the president during his speech, Eastwood frequently addressed the chair: "I think it may be time for somebody else to come along and solve the problem. When someone does not do the job, you have got to let them go," said the 82-year-old Eastwood, a supporter of the Republican Party's presidential candidate for the 2012 election, former Massachusetts Governor Mitt Romney (Eastwood endorsed Romney in an earlier speech). At one point during his convention speech, Eastwood pretended that the chair, or Barack Obama, was speaking to him: "What do you want me to tell Romney?" he asked the chair, "I can't tell him to do that. I can't tell him to do that to himself." 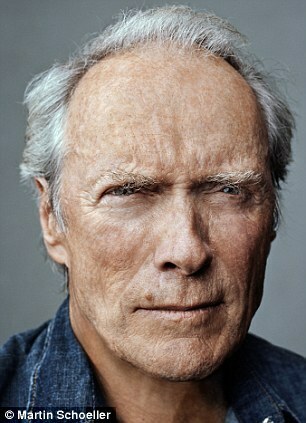 Eastwood's strange speech spurred several news reports, as well as public discussion via social-network websites. 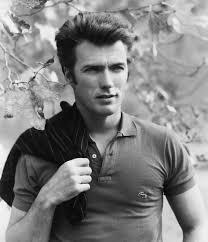 Eastwood has been married only twice, but had some relationships and fathered several children out of wedlock. He was married to Maggie Johnson between 1953 and 1980. They had two children, Alison (1972) and Kyle (1968). While married to Johnson, he had a child by Roxanne Tunis: Kimber Eastwood (1964). Beginning in 1975, Eastwood became romantically involved with costar Sondra Locke, which ended bitterly with a palimony suit in 1989. He is the father of two children by Jacelyn Reeves: Kathryn (1988) and Scott (1986). He and Frances Fisher had a daughter, Francesca Ruth. He married Dina Ruiz, a TV newscaster, in 1996. They had a daughter, Morgan, in December 1996. In December 2014, after 18 years together, Eastwood and Ruiz divorced.